Gertrude Kay was one of the many students of American illustration titan Howard Pyle. 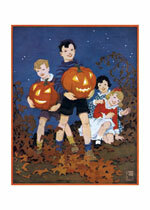 Gertrude Kay was one of the many students of American illustration titan Howard Pyle. 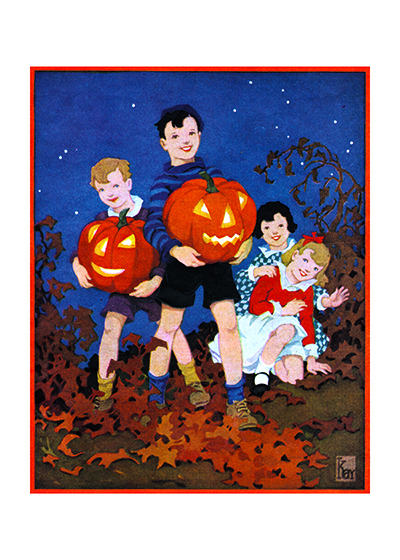 She was especially adept at painting children, as seen here in this charming image of children bearing pumpkins through the leaves.